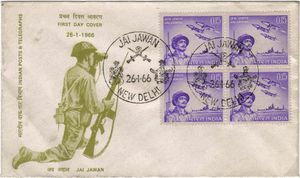 15 Aug 1963: Special Cover released on the Independence Day, 1963 that pays tribute to the Indian Armed Forces. 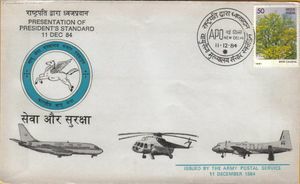 The IAF crest is reproduced along with the others and the stamps showcases IAF transports in a supply dropping role. 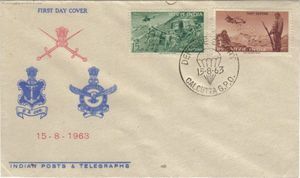 This special cover released on Republic day 1966 commemorated the Armed Forces for the part played by them in the 1965 War. 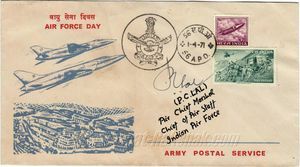 The Airforce was represented in the stamp by a formation of three Gnats. 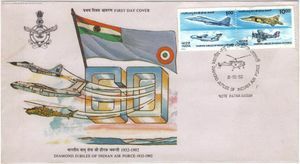 01 Apr 1971 : The Air Force Day Special Cover for 1971 - displaying two Maruts. 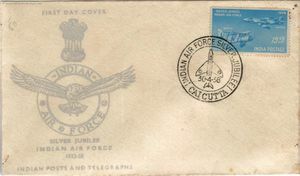 This Cover has been autographed by the then air chief - Air Chief Marshal P C Lal. 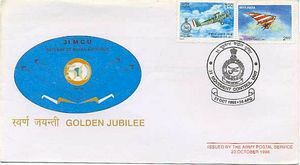 Golden Jubilee First Day Cover (FDC) showcasing the Jaguar. 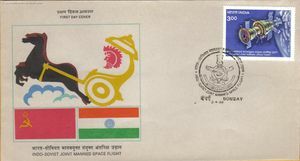 03 April 1984 The Indo-Soviet Joint Manned Space Flight put Squadron Leader Rakesh Sharma into Space as the first Indian to do so. 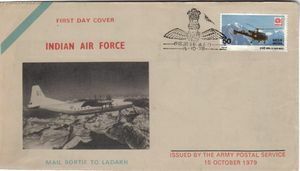 The Cover features the IAF Crest as the cancellation mark. 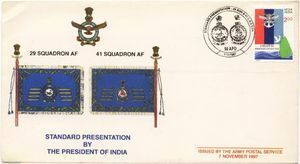 11 Dec 84: Special cover released on the ocassion of the presentation of Presidents colors to No.9 Squadron. 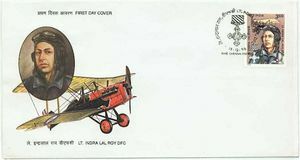 The Air HQ Communication Squadron also received their colors on the same day. 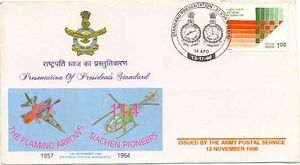 11 Dec 84: Special cover released on the ocassion of the presentation of Presidents colors to the Air HQ Communication Squadron. 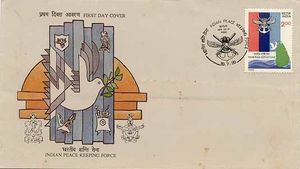 Though not strictly an 'IAF' FDC, this cover on the Indian Peace Keeping Force (IPKF) has the tri services emblem and stamp along with the IAF Crest. 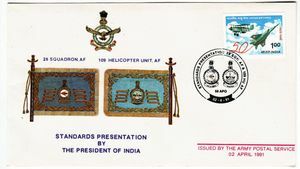 02 Apr 1991: A special cover released on the occasion of the presentation of the Presidents Standards to No.28 Squadron and No. 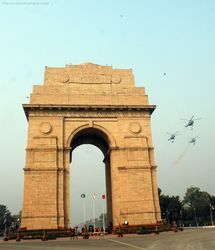 109 Helicopter Unit. 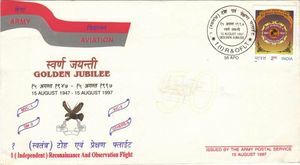 No.1 Squadron IAF, 'The Tigers' are probably the only unit to get thier own First Day Cover on the ocassion of thier diamond jubilee in 1993. 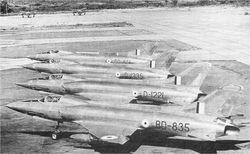 Note the Wapiti Stamp with the crest of 1 Squadron. 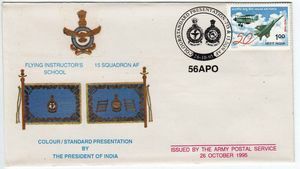 13 Nov 96: A special cover released on the occasion of the presentation of the Presidents Standards to No.27 Squadron and No. 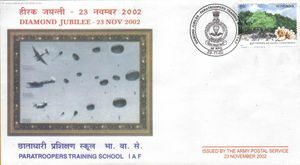 114 Helicopter Unit. 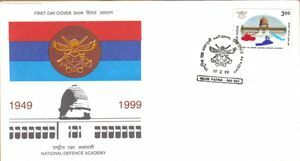 appropriately the cancellation mark features the crests of both the units. 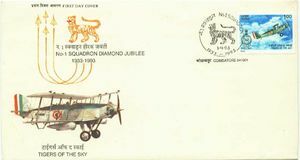 31 Oct 97: Special Cover on the Golden Jubilee of the Air Headquarters Communication Squadron - 1947-1997. 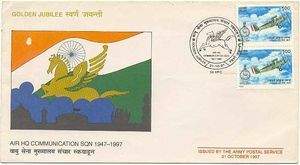 The cancellation mark features the 'Pegasus' which was the emblem of the squadron from inception. 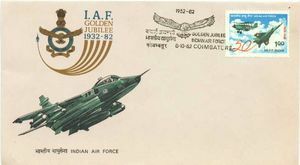 23 Oct 98: The FDC for the Golden Jubilee (1948-98) of the 31st Movement Control Unit of the IAF. 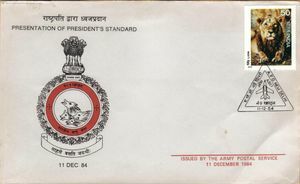 The Cancellation mark features the Maintenance Command Crest. The accompanying brochure is on the left. 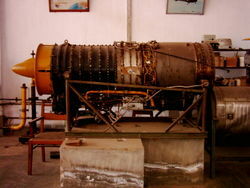 03 Dec 1999 Air Force Technical College completes fifty years since its raising. 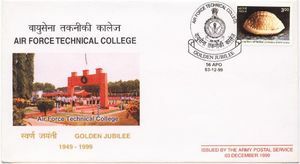 This cover depicts the passing out parade of a batch of technical officers. 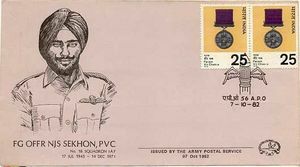 Flt Lt Indra lal Roy DFC was the only Indian 'Ace' till date, having shot down Nine german aircraft in aircombat. 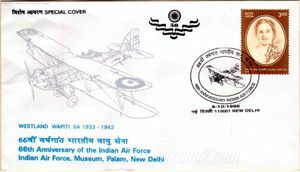 This FDC with a lovely DFC Cancellation mark was released to commemorate his achievements. 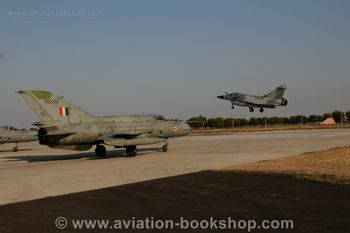 15 Aug 1997 The 1st AOP Flight was formed out of the erstwhile RAF 659 Squadron. 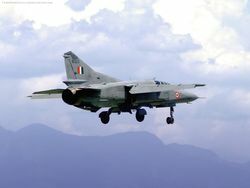 The flight operated under the technical assistance of the IAF , though manned by Army pilots. 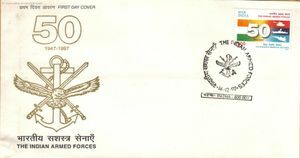 16 Dec 1997: First Day Cover on the 50th Anniversary of the Indian Armed Forces - 1947-1997. 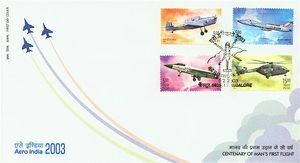 The stamp features a sillhoutte of the Sukhoi-30K fighter. 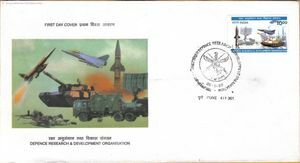 19 Feb 1999 First Day Cover to commemorate 50 Years of the Joint Services Wing / National Defence Academy. 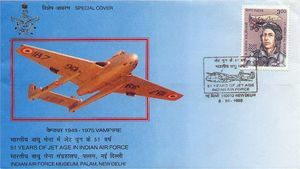 The Stamp features a silhoutte of the Jaguar IM aircraft. 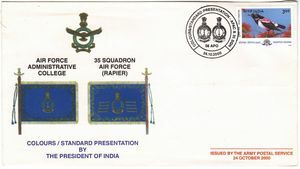 24 Oct 2000: A special cover released on the occasion of the presentation of the Presidents Standards to Air Force Administrative College and No.35 Squadron "Rapiers"
Aero India's FDC shows off the four special stamps released for the occasion and the Helicopter cancellation mark.